talk to myself, now with Helpshift | Island of Doom Software Inc.
talk to myself has just recently crossed the 25,000 download mark! Perhaps to celebrate, or perhaps by coincidence, version 1.3 is now available in the App Store. The biggest improvement is that we added Helpshift as a customer support help desk system. As a user, you can get your questions answered even before you ask! And if you do have to ask, we’ll be in touch with you from right inside the app. 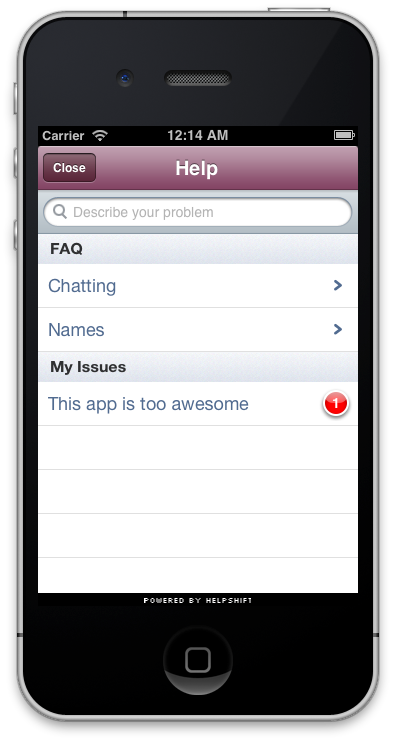 If you’re an app developer, I’d recommend checking out Helpshift. Their focus on native app integration and excellent user experience was exactly what I was looking for. Users get better support and I have fewer emails to respond to – win win! This entry was posted in Apps, talk to myself by John Arnold. Bookmark the permalink.